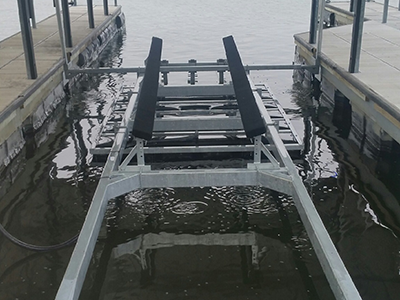 Our front mount lifts feature extra-strong fully galvanized frames and durable poly tanks. 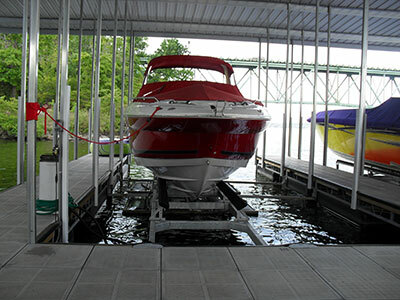 We use 4″x2″ and 3″x5″ heavy-wall tubing. 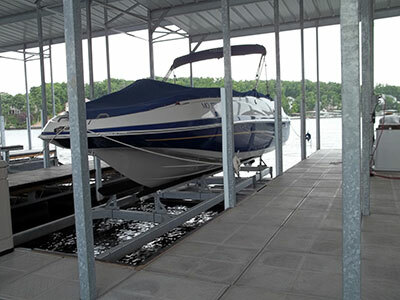 We offer lift capacities from 4,500 lbs to 20,000 lbs and more. 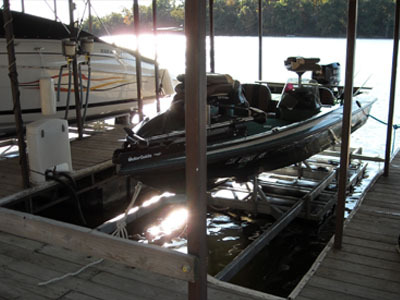 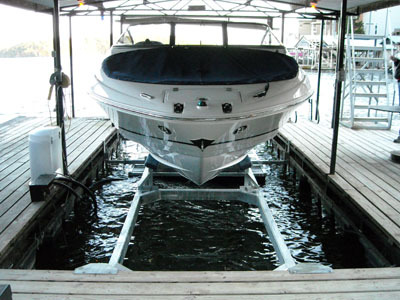 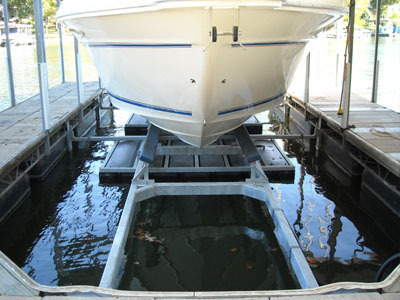 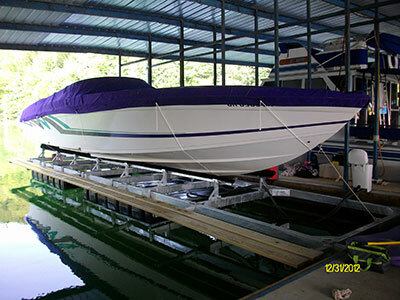 Boaters find that this is style lift offers a durable design and the easiest docking at an affordable price. 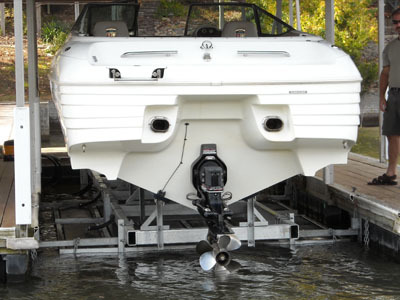 Fewer moving parts means a longer life lift!